Hannah earned her Master of Science in nursing from the University of Alabama in Birmingham and her Bachelor of Science in biology from Samford University in Homewood, Alabama. Her experience includes working in Huntsville Hospital and Village Dermatology as a registered nurse, which further fueled her desire to work with and care for patients being treated for a wide variety of skin conditions. Hannah’s focus is in general dermatology and includes treating a broad range of skin, hair and nail diseases, as well as counseling her patients on the active role they play in caring for their conditions. 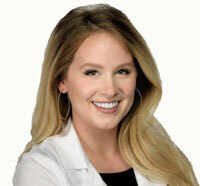 She is a member of the American Association of Nurse Practitioners and the Alabama Society of Dermatology Professionals.